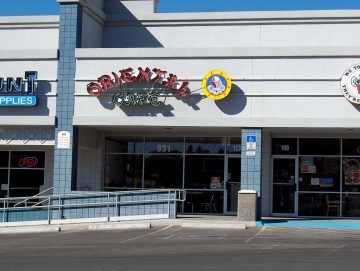 Since the original owners Michelle and her husband sold Oriental Cafe in September 2006, several changes have occurred. The original menu is largely unchanged and the lunch buffet is still available, but many more choices are now offered, especially if customers wish to get away from the fried food and sweet sauces that make up a large part of the buffet. A photo display near the cash register shows several new dishes that are not on the menu, and boba drinks have been added. The most important change I have seen is that special dishes are usually available that are not on the menu. The special dishes may change seasonally and from day to day, depending on ingredients that are available, but they always reflect the owners' background of traditional Cantonese style cooking. 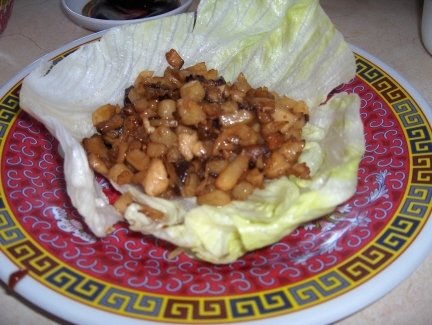 One characteristic of the new dishes and the non-menu Cantonese dishes is that they usually require a longer preparation time than items on the printed menu. With some steamed and slow cooked items now being served, not everything can be cooked as quickly as the stir fried and fried dishes that make up the majority of the menu items. The difference between Oriental Cafe and many other restaurants, though, is that customers do get a choice about the kind of food that is available. The pre-2006 Oriental Cafe seemed to be best in the spicy Hunan style dishes. Now I have almost completely gotten away from ordering anything spicy at Oriental Cafe, with the mild Cantonese dishes having so much flavor that I think they are the best items to order. The new owners have introduced lighter sauces with a less salty taste, allowing the natural flavors to come through. Some of the previous dishes were good, but most of the changes that have been made since 2006 have been on the positive side. Both previously and at present the lunch buffet is one of the best deals in town. Selection is small, but no MSG is used, and new items are being introduced such as a Cabbage Roll that I thought was excellent. If you go late the owners will cook a fresh batch of the stir-fried items, and the noodles and soup stay good throughout the buffet. The Hot and Sour Soup was good before and I would say is even better now, with a lighter broth. The fact that the soups do not have MSG would make them among my favorites even if the flavor was not up to the level it is. The Egg Drop Soup does not provide as high of a quality as would be found in Chinatown type restaurants, but I have always enjoyed it. The best aspect of the buffet was always that I could eat both the egg drop and hot and sour soup. Lunch specials are also available, but many items from the dinner menu are inexpensive enough to consider them at lunch as well. The new items, both on the menu and served as specials, reflect the owners' experience working at Chinese restaurants in Alhambra, California, an area known for excellent Asian cuisine. Winnie, who primarily serves as the hostess and cashier, had extensive experience at a vegetarian restaurant in California's San Gabriel Valley, and now prepares many of Oriental Cafe's vegetarian items, special dishes, dumplings, and desserts. Both of the owners are excellent cooks and choices do not seem to be limited if either the husband or wife is out of the restaurant. 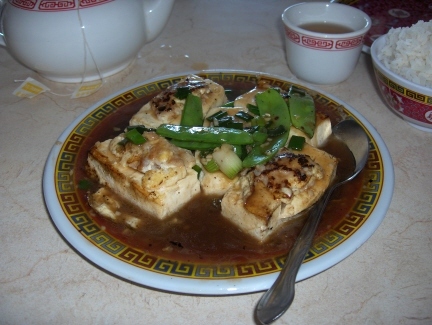 Oriental Cafe has several ways of preparing tofu that reflect the Cantonese style around Guangzhou, China. Hong Kong Style Braised Tofu with Vegetables and Mushroom is a vegetarian version of the more traditional style cooking. This is a deef fried tofu with a light sauce and enough vegetables to provide contrasting flavors. I should mention that oyster sauce is used in the sauce, so this is not a truly vegetarian dish. It can be ordered without oyster sauce but I would say that it would not taste as good. Bean Curd Home Style was one of my "benchmark" dishes that I used to eat at a number of restaurants when I was on a non-meat (but oyster sauce allowed) diet. Oriental Cafe serves the dish Hong Kong style with braised tofu and a brown sauce that is lighter than the one the previous owners used to serve. 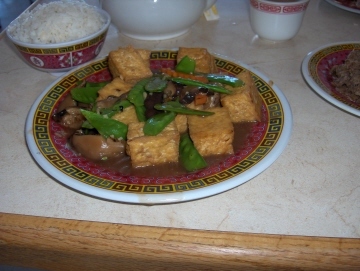 The tofu is deep fried, but cut into smaller pieces than the braised tofu. Additional vegetables are added besides the snow peas used in the braised tofu. At Oriental Cafe I prefer the braised tofu because of the way the tofu comes out, but the vegetables in the home style tofu are good. Stuffed Tofu is one of the new items shown in the photos at the front desk. This comes lightly fried with a special sauce consisting primarily of oyster sauce, with balls of shrimp stuffed inside the tofu. This is definitely getting to the more traditional style of Cantonese cooking, with the tofu being fried only on the edges. I have had one at Sam's Chinese Restaurant that was just as good, but Oriental Cafe is the only restaurant in El Paso that makes the dish available any time. One excellent dish from the menu is Noodle Soup. While this is always available and does not require a long time to prepare, variations can be made in the ingredients used to prepare the soup according to taste. 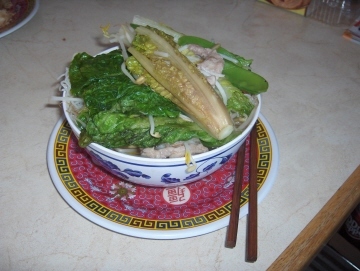 Chinese vegetables, as shown in the photo, are always excellent but not always available. Adding spicy chicken or other meat on top is a traditional Cantonese style soup, and is similar to the one served at Beijing Lili on the east side. Pepper Steak is a commonly known dish that is very good at Oriental Cafe (except that the meat is sometimes a little tough). A better version, though is the Beef Steak with Black Pepper, one of the pictured items that are not on the regular menu. This uses a different cut of meat and is set on crispy noodles that I think makes it one of the restaurant's better dishes. Tomato Beef is not unknown in Chinese restaurants that specialize in traditional food, but I think Oriental Cafe is one of the better places to try it. The beef is probably about the same grade as the pepper steak (not as tender as the beef steak with black pepper), but I hate to make definitive statements since things could vary between visits. The sauce has always been so good, though, and the tomatoes so fresh, that I have not cared whether the beef was the best feature. Scrambled Eggs and Tomato is a traditional Cantonese dish that is not on the menu, but it is a minor variation to the tomato beef, and can be made any time customers request it. The flavor theme (tomatoes and eggs) is much like Southwest style eggs, but the sauce at Oriental Cafe really makes this dish special. Although it may sound more appropriate for breakfast than lunch or dinner, I think the tomatoes provide the predominant flavor, making it much like eating tomato beef. Egg Fu Yung is probably the most improved dish by the new owners, being freshly made each time it is ordered with a flavor that I think is excellent. Like many dishes, the sauce is one of the best aspects to it. At the original Oriental Cafe this was one of the dishes that could be prepared quickly for take-out orders, but I think it is well worth any extra wait that is involved for the updated version. Chicken dishes have improved quite a bit in the quality of meat used. Sesame Chicken is one of the better items from the buffet, but the overly sweet sauce (by Chinese standards) does not make it a good choice if you want to try one of the more authentic dishes. Because of El Paso's location about as far away from any coastline as you can get, seafood dishes are probably not the city's standout item. I have liked the shrimp and tilapia served at Oriental Cafe, though, compared to others served in El Paso. The Salt and Pepper Shrimp has been very good. The pork dishes at Oriental Cafe have been some of the best in terms of flavor and quality. The Barbecued Pork has been good, although I have found similar quality at the Sam's family of restaurants (Sam's, Moon Star, China Star, etc.). Pork Spare Ribs are the best pork dish I have found, but they have to be slow cooked and are only available as a "special dish" (it would probably be advisable to give advanced notice). One of the best opportunities to try a variety of authentic Cantonese style food at Oriental Cafe is to ask for one of the special dishes that fall into two categories: either you must give advanced notice or the necessary ingredients need to be available. These are almost exclusively foods that would be prepared in a Chinese home for the family's consumption at dinner time, but a few are "banquet" or special occasion meals. An example of the latter is food that is traditionally prepared for Chinese New Year (see the link at the bottom of the page). I have found that the best approach is to ask what can be prepared and to ask the owners for a recommendation. At some Chinese restaurants, even very good ones in large cities, asking the chef or server for recommendations will result in the most expensive "banquet style" dish that they can prepare. Here, though, the special dishes tend to be made of fresh vegetables that were bought at the market or special meats that are not always available. Many times it will be what the owners are preparing for their own meal, or it may include vegetables that were grown in a friend's garden (and are not available on a regular enough basis to put on the menu). Home Made Soup is always a good starting point for a traditional meal. 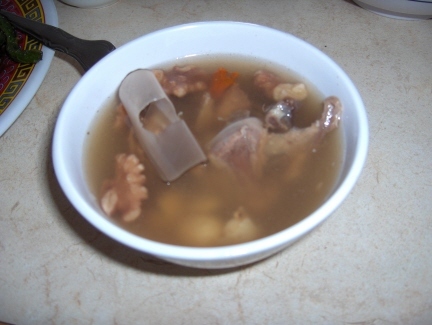 Many times a variation of chicken and vegetable soup can be prepared, such as the one pictured. This soup is not listed on the menu because of the fact that it usually takes several hours to cook. The soup pictured included roots for flavor and nutrition, vegetables, beans, walnuts, and ingredients used in traditional Chinese medicine used to stay healthy during cold and flu season. Chicken bones are normally slow cooked in the soup so that it is more like a bouillon than the kind of soup Americans usually associate with "chicken soup." Although this type of soup has to be special ordered, it is probably the number one reason I am such a big fan of the "new" Oriental Cafe. If Oriental Cafe has some soups that serve as very suitable substitutes, both on the menu and as a special request. On is the Spinach Soup made with egg whites. This does not take long to cook, and although it is not meant to be an "herbal medicine" soup, it is quite healthy and good. Seaweed Soup is a nutritious soup with non-fried tofu and a green plant called "seaweed" that is much like the one included in Japanese miso soup. I have been told it grows under water, but I do not think it is the plant we normally call "seaweed." The menu version contains pork, but I am sure this can be substituted. Minced Beef and Cilantro Soup is probably the best soup listed on the menu, with the cilantro giving it almost the flavor of a Vietnamese soup. Some other Chinese restaurants have soups that go beyond the typical hot and sour and egg drop, but Oriental Cafe probably has the greatest variety. Hot Pot dishes are soups that are large enough, and contain enough meat and vegetables, to be served as a meal. These typically come with a clear broth, but I would let the chef choose the type of broth that goes best with the ingredients included (oyster sauce can also be used). 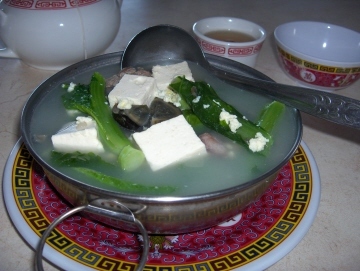 Hot pots are most commonly served with seafood, such as the one pictured that also contains tofu, egg whites, and Chinese broccoli. This dish is as healthy as it is delicious, with a balance of flavors containing all the complexity that should be present in Chinese cooking. Hot pots do not require the long cooking time that the "home made soups" require (I call them "home made" because I do not know the proper name for them), and there is a good chance a hot pot would be available to order. Customers can choose the meat; the main variability comes with the vegetables and would be based on availability at the Chinese market. Pork Ribs with Black Bean Sauce is another very good dish that has a time contraint. This is slow cooked, with the end result being the same that would come with any very good slow cooked meat. I like the one at Oriental Cafe about as well as ones I have had anywhere. Because El Paso does not receive a very reliable supply of fresh Chinese ingredients, most of the other special dishes would have to be considered as available only on special occasions. Chinese Sausage and Pepper is a good example, with the sausage coming from California and not always available. 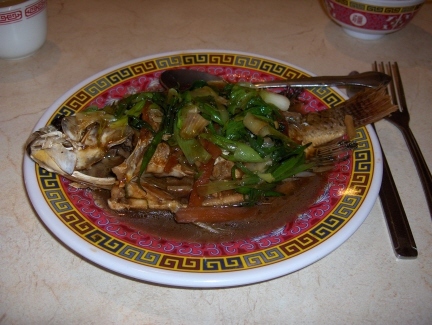 Whole Steamed Tilapia with ginger and scallions is available any time, but other types of fish can occasionally be served as well. I think the owners look for fresh fish in the market a couple of times a week, so it is best to ask what they have. Steamed fish takes longer to prepare than fried or stir-fried, but it is usually the style that tastes best. I had many enjoyable meals at Oriental Cafe when Michelle and her husband were providing individually cooked meals and a large number of take-out orders for the neighborhood. According to my concept of Chinese food, though, I would say that the restaurant is now much more authentic, with many more choices available. If anyone has not been to Oriental Cafe since the new owners took over, I would strongly encourage them to give it another try. In terms of flavor and authenticity, I think Oriental Cafe is as good as any Chinese restaurant in the city. Many of the traditional American style Chinese dishes (sweet and sour pork, chow mein, pepper steak, etc.) are not the best dishes here, and may not be as good as at other restaurants in the city. Some, such as egg fu yung, are probably better here than anywhere else in El Paso. The dishes not listed on the menu, or added since 2006, though, are really why Oriental Cafe is a special treat. The main problem here is availability of many of the special dishes. I have given examples of the things that might be available, but if you have your heart set on something it might be best to call the restaurant ahead of time. When I go without calling ahead, though, I can always find something good. It mainly takes going beyond the regular menu or being open to the owners' suggestions.